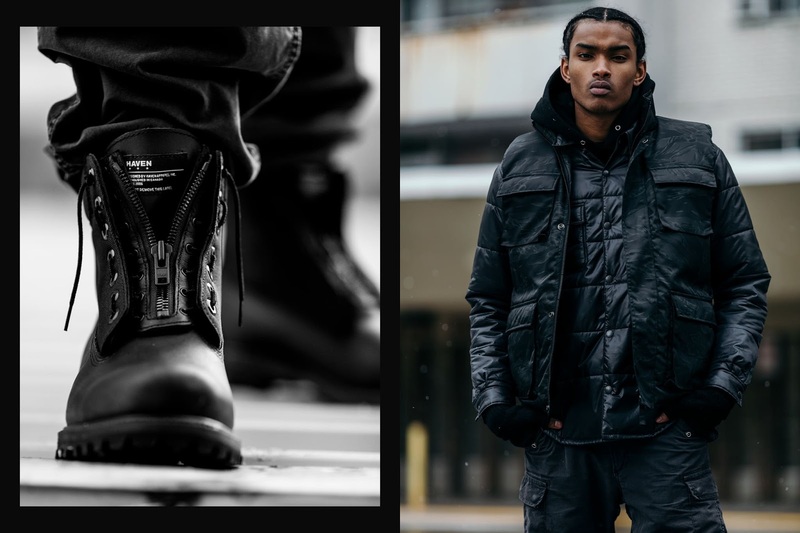 HAVEN presents its collaboration with distinct footwear brand, Timberland. 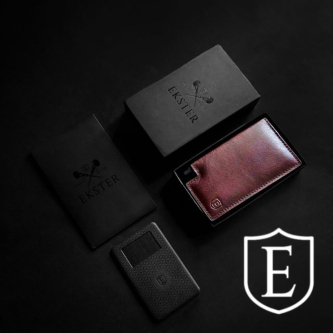 This partnership sees the use of premium fabrics and functional design, inspired by Canada’s four seasons and the conditions that accompany them. 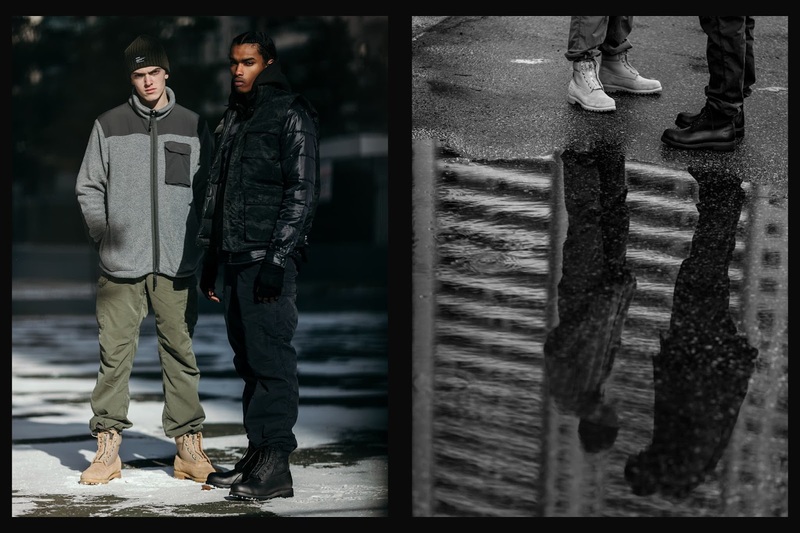 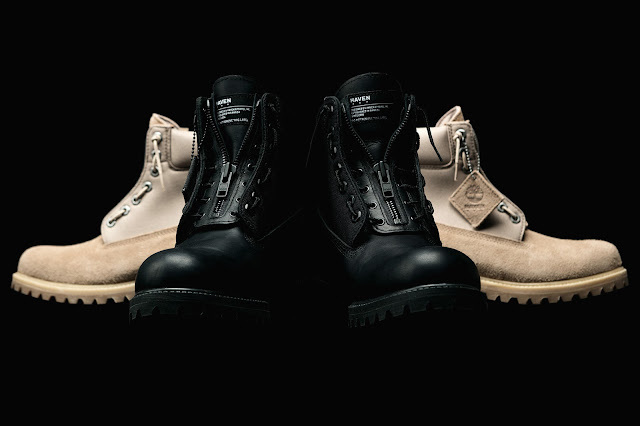 The unmistakable silhouette of Timberland’s 6-inch premium boot is reimagined with classic military elements. 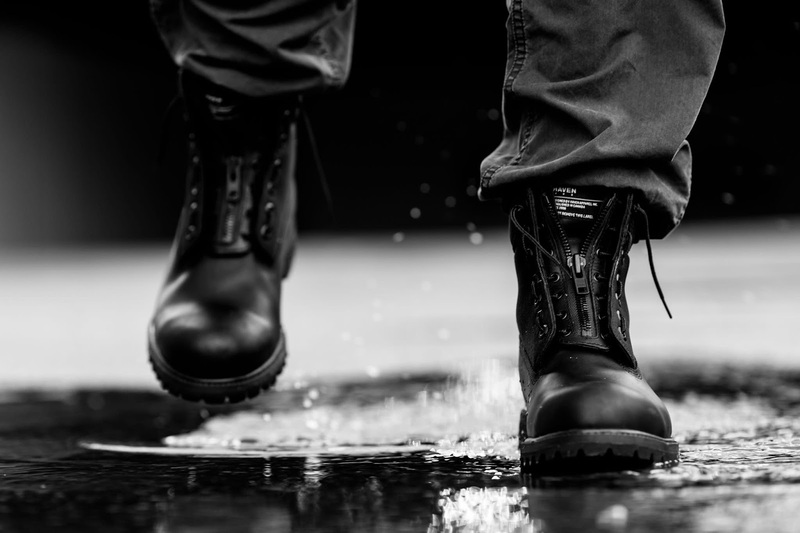 This tactical, all-weather boot features a full GORE-TEX lining which, with a gusseted tongue, provides complete waterproof capability. 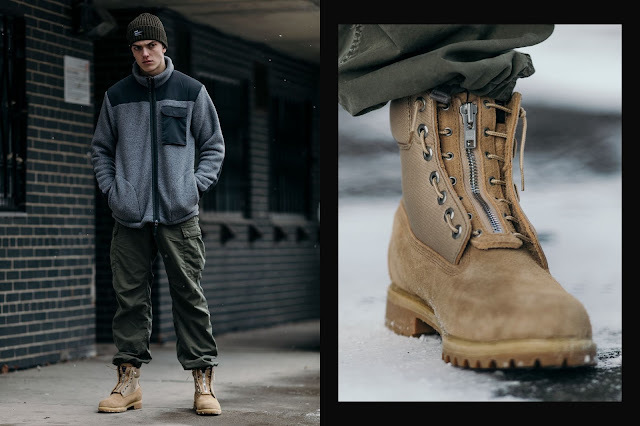 The black silhouette features a smooth leather upper, while the sand silhouette features a hairy suede upper; both employing a durable Cordura ballistic nylon quarter. 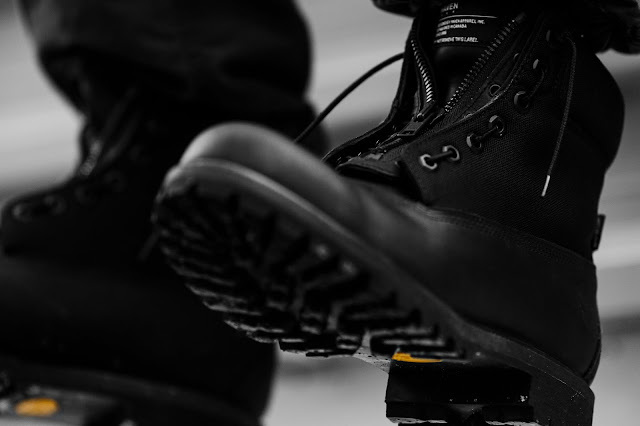 A hard-wearing Vibram lug sole unit offers unmatched comfort and traction. The military-style speed lacing system offers ease of wear and is quickly removable. A padded Cordura nylon collar, co-branded hang tab and woven brand tongue label round out the details.